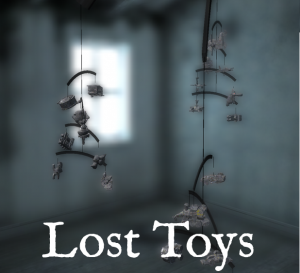 Lost Toys is a unique and highly recommended experience for all puzzle lovers. The goal is to restore some old wooden toys, recovering their original appearance. To do so, we will need to discover the form that hides within the unknown block that starts each challenge. Gradually, the old toys recover their former splendor and the originally abandoned mobiles hanging from the ceiling will shine again with a special light. In our effort against time, we should try to restore the original appearance of the toys from simple movements. We can only rotate the object in our hands and turn its parts, so that we could slowly craft its original form. Lost Toys has an impressive graphic quality, with an atmosphere that takes us back to childhood. 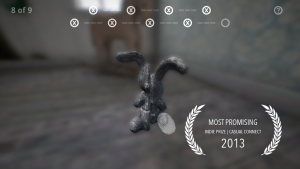 The aesthetic recalls the style of The Room, another visual gem that also challenges us to solve a series of puzzles. Lost Toys comes with a killer soundtrack, composed by Peter Rudenko. The piano will entertain our adventure, offering a musical accompaniment to match the graphic quality. It has four chapters that include 32 puzzles. We start the game without any instruction or guide and we will need to address the first challenge with absolute freedom. There is no control of the time and no way to share our progress with other players. The objective of the game is to solve the personal challenges, competing exclusively with ourselves. 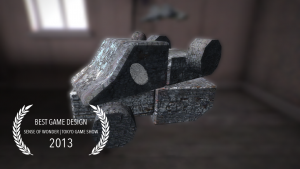 Lost Toys was created by the Americans Barking Mouse, and it won several awards, including the Award for Most Promising Indie Game Prize 2013, Best Game Design Award of the Sense of Wonder Night 2013, the Most Artistic of Codame Indie Game Developers Showcase or part of the selection of PAX Indie Minibooth. It is not a game for everyone, but it is an essential piece of art for any lover of puzzles and challenges. You can enjoy both his aesthetics and its soundtrack, relaxing comfortably as we try to decipher the hidden forms in the wood’s blocks, from which they eventually emerge all sorts of classic toys. The game is available for iOS ($4.89) and Android ($2.99). Lost Toys is compatible with iPad 2, iPhone 4S, iPod touch (5th generation) or later; while in Android devices it is only compatible with tablets with Android 3.0 or higher.